This Event has now finished. To see more of our events, check out our calendar. 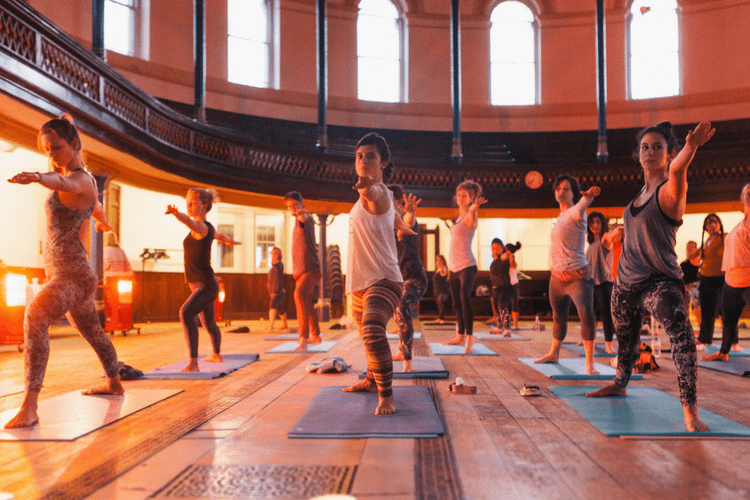 After having run a collection of Pop-upYogi evenings in and around London and them being a great success, we have decided to create another fun evening. This time we’ve joined forces with another fab company that we love here at AY, Rude Health. We have decided to bring you this extra special evening with Rude Health because we have always loved their cereals and milk (lots of our guests are addicted to their almond milk after trying it on one of our retreats) and to celebrate the launch of their new sprouted flours. Why are sprouted flours so good for you? Date: Thursday 16th April From 7pm – 10pm. The evening starts at 7pm, with the yoga class starting at 7.15pm. We are holding this event in the beautiful Round Chapel in Hackney East London. It is a beautifully rounded hall with high ceilings perfect for a musical evening. This time we are excited to be offering you a melodic yoga class with a kirtan band that will be playing tabla and Indian flute. Moksha music is a duo; Jason Kalidas and Will Thornton who have been studying their craft since 2004. They play at yoga festivals worldwide, yoga retreats, studied and trained with their guruji’s in India and performed for renowned yoga teachers John Friend, Sharon Gannon, and Sienna Shermna to name a few. They are passionate and very talented at taking you on a journey through their uplifting sounds. The yoga class will start at 7.15pm – 8.30pm. You will be lead through an empowering vinyasa flow sequence to energise, unwind and revitalise. The rhythm of the class will be complimented by the tabla, flute and harmonium, taking you into a meditative state and deep immersion into the present moment. Dinner will be served from 8.30pm onwards. 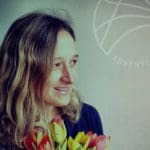 We are combining the delicious style of AdventureYogi retreat food of AY chef Filipa do Carmo with Rude Health’s new sprouted flours. Check out the menu below. As always we have a goodie bag to take home worth £20 filled with delicious goodies from Rude Health, plus a discount code for 10% off your next AdventureYogi booking.